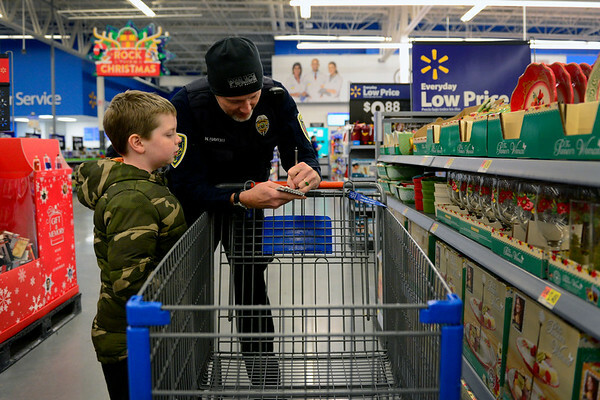 Zethen Henry, 8, of Nappanee goes over his shopping list with Nappanee police officer Nik Havert during Wednesday's Cops and Kids shopping event at Walmart on Elkhart Road. "He wants to buy stuff for his family and friends," Havert said. "He hardly wants anything for himself."